1992-07-20 N602AA American Airlines Flight Last service LHR-JFK. This was the final scheduled passenger flight of an SP for American Airlines. 1994-04-01 All white Ferried HAM Ferried to Hamburg for UAE gov't. To enter "D" check at Lufthansa Technik. 1994-04-07 Reg Cancelled N602AA cancelled. 1994-12-29 A6-SMM United Arab Emirates Roll Out HAM Rolled out... Being upfitted to VIP aircraft. 1995-02-17 A6-SMM United Arab Emirates Delivered HAM Departed Hamburg, upfit completed. Delivered to United Arab Emirates (Dubai Airwing). 2002-02-22 A6-SMM Dubai Air Wing Other HAM "D" check completed by Lufthansa Technik. Glass cockpit installation completed. 2004-03-18 A6-SMM Dubai Air Wing For Sale Offered for sale by Reef Aviation (on behalf of Dubai Air Wing) with 46,829 hours and 7514 cycles on the airframe. See sales spec sheet here. 2004-08-28 A6-SMM No Titles All White with basic UAE cheatline. 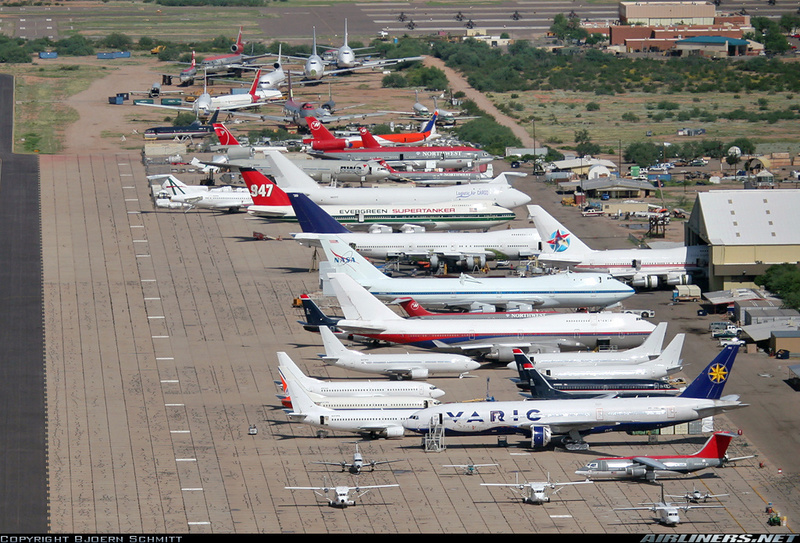 Seen JNB Seen parked in SAA technical area. 2004-11-14 P4-FSH No Titles All White with basic UAE cheatline. Seen JNB Parked at SAA Technical area, but with new registration instead of A6-SMM. Not sure of the exact date that the new reg was applied. New owner is Crestwind Aviation AW of Aruba. 2004-11-16 P4-FSH No Titles All White, with ex UAE cheatlines Seen JNB Seen in maintenance area. 2004-12-04 P4-FSH No Titles All White with basic UAE cheatline. Seen CLE Seen at Cleveland, wearing new registration, operating for Ernest Angley ministries on a flight from Africa. 2005-01-08 P4-FSH No Titles Star Triple Seven Seen CAK Ernest Angley Ministries held an open house for the plane. They will be putting a large star on the tail and a smaller star above the doors. It will be used in national and international flights by Ernest Angley Ministries. 2005-03-29 P4-FSH Star Triple Seven Logo on tail and fuselage Seen CAK Parked off runway at Akron-Canton Airport for the past two days. 2005-04-19 P4-FSH Star Triple Seven Seen CLE Arrived back at CLE, 0633 local time, from trip to Africa. Departed approx. 0850 for short hop to CAK. 2005-04-20 P4-FSH Star Triple Seven logo on tail and fuselage Seen CAK Parked off runway at Akron-Canton Airport. 2005-08-19 P4-FSH Star Triple Seven Seen YEG Just arrived, 14:10 pm for a an Ernest Angley Ministry presentation in Edmonton, Alberta at the Commonwealth Stadium. 2005-08-21 P4-FSH Star Triple Seven Seen YYC Seen at Calgary Airport parked at the Shell Centre. 2005-08-21 P4-FSH Star Triple Seven Seen YYC Aircraft departed for Cleveland at 23:30. 2005-08-22 P4-FSH Star triple Seven Seen CAK Parked at the far north end of the airport. 2005-10-26 P4-FSH Star Triple Seven Ferried MZJ Leaves maintenance, ferried MZJ-CAK back to home base. 2005-10-30 P4-FSH Star Triple Seven Seen BHM Surrounded by orange cones, no visible ramp action. 2005-11-05 P4-FSH Star Triple Seven Seen ATL Parked at the North Cargo ramp. 2005-11-05 P4-FSH Star Triple Seven Seen ATL Seen parked at FedEx cargo ramp. 2005-11-10 P4-FSH Star Triple Seven Seen MQY Seen parked at the Smyrna Airport in Smyrna, Tennessee. Plane will be stored here until February in order to avoid the winter weather of CAK. 2005-11-12 P4-FSH Star Triple Seven Seen MQY Still seen parked. 2006-02-03 P4-FSH Star Triple Seven Seen CAK Parked at South East corner of airport. 2006-02-07 P4-FSH Star Triple Seven Seen MYNN seen Nassau Airport, Bahamas. 2006-02-13 P4-FSH Star Triple Seven Seen CLE Landed on 24L at 1440 local time. Most likely returning from the Bahamas where he was recently spotted, and he did park at the customs gates upon arrival. 2006-03-27 P4-FSH Star Triple Seven Seen JNB Arrived in Johannesburg this morning. 2006-04-10 P4-FSH Star Triple Seven JNB Departed Johannesburg tonight enroute to GVAC, probably as a fuel stop. Was parked at JIA for the entire visit. 27/03 to 11/04 2006. 2006-10-23 P4-FSH Star Triple Seven Flight GEO In Georgetown, Guyana for the week. 2006-10-30 P4-FSH Star Triple Seven Flight PBM Arrived from Guyana at Paramaribo Suriname. Scheduled to return to the US on 11/6. 2006-11-06 P4-FSH Star Triple Seven Seen CLE Arrived at approx. 16:06h. Currently parked at A-14 to clear customs prior to returning to CAK. 2006-12-02 P4-FSH Star Triple Seven Seen MQY Parked on the GA ramp at Smyrna for the winter. Arrived on December 1st, 2006. 2007-01-27 P4-FSH Star Triple Seven Seen MQY Seen still parked on the GA ramp in cold storage. 2007-02-21 P4-FSH Star Triple Seven Seen MQY No longer at MQY. Left sometime between the 18th and 20th of February. 2007-03-11 P4-FSH Star Triple Seven Seen BFN Parked on the main runway. 2007-03-28 P4-FSH Star Triple Seven Seen CAK Parked on Taxiway "k" between Rwy 5/23 and Taxiway "d"
2007-07-19 P4-FSH Star Triple Seven Seen KIN Parked at gate 16/17 for about a week. 2007-08-09 P4-FSH Star Triple Seven Seen MZJ undergoing scheduled maintenance. 2007-10-15 P4-FSH Star Triple Seven Other Picked up via Mode-S in Southwest PA approx. 9:30am EDT. No ADS-B so could not ascertain heading. 2007-10-31 P4-FSH Star Triple Seven Seen CAK Parked on taxiway "K" between taxiway "D" and runway "5-23." 2007-12-09 P4-FSH Star Triple Seven Seen MQY Its back for winter storage again. Probably be here until February 08. 2007-12-09 P4-FSH Star Triple Seven Seen MQY Parked with engine covers on. Arrived four days ago from Akron, Ohio. Will spend the winter here and return to Ohio sometime in early Feb. 2008. 2008-03-17 P4-FSH Star Triple Seven Seen CAK Aircraft was gone during winter months. Seen parked 0n Taxiway "K" between Rwy 5-23 and Taxiway "D."
2008-03-26 P4-FSH Star Triple Seven Seen DUR Seen parked at Durban International Airport in the evening facing main runway. 2008-07-12 P4-FSH Star Triple Seven Seen SDQ Parked on tarmac of Las Americas International Airport SDQ in Santo Domingo, Dominican Republic. 2008-07-14 P4-FSH Star Triple Seven Seen CAK Seen at 09:00 local climbing to the South-East after take-off from KCAK. 2008-07-28 P4-FSH Star Triple Seven Ferried CLE Ferried to CLE. Seen flying over Medina, OH around 7,000ft northbound. Landed at CLE around 2212z on runway 24R. Heard numerous times on Cleveland ATC frequencies. 2008-08-04 P4-FSH Star Triple Seven Seen CAK Parked on Taxiway "K" between Runway "5-23" and Taxiway "D"
2008-09-11 P4-FSH Star Triple Seven Seen OSC Aircraft has all 4 engines removed. Parked at Kalitta Air Maintenance facility in Oscoda, Mi. Aircraft will have various AD/SB compliance checks performed. 2008-11-23 P4-FSH Star Triple Seven Seen MQY Arrived for winter storage at Smyrna Airport in Smyrna, TN. Will remain here for the duration of the winter and then return to Akron. Aircraft in great condition. 2009-02-11 P4-FSH Star Triple Seven Seen CAK Parked on Taxiway "K" between Runway 5/23 and Taxiway "D."
2009-02-17 P4-FSH Star Triple Seven Seen CAK Parked on the North end of taxiway Kilo. 2009-07-02 P4-FSH Star Triple Seven Seen CAK Performing Touch-n-Go's for several hours around Canton, OH on runway 23. 2009-07-15 P4-FSH Star Triple Seven Seen CAK Parked on the ramp in normal spot. Had a little action with a couple people going inside to do what appeared to be cleaning and stocking, perhaps for an upcoming flight? 2009-09-22 P4-FSH Star Triple Seven Seen MQY Arrived here at Smyrna today for it's annual winter storage. 2010-02-11 P4-FSH Star Triple Seven Seen MQY Departed Smyrna (KMQY) a few minutes after noon, headed to Canton (KCAK). 2010-02-12 P4-FSH Star Triple Seven Seen CAK Parked on Taxiway "K", between Runway 5 / 23 and Taxiway "D"
2010-08-04 P4-FSH Star Triple Seven Status CAK Not at CAK Airport. 2011-02-17 P4-FSH Star Triple Seven Seen CPT Parked in northwestern part of Airport. 2011-02-20 P4-FSH Star Triple Seven Seen CPT Seen parked on the opposite side on main terminal at Cape Town (FACT) over the weekend 18 to 20 Feb 2011. 2011-09-20 P4-FSH Star Triple Seven Seen CAK Landed around 1230, blowing multiple tires after just returning from having the landing gears rebuilt. 2011-09-20 P4-FSH Star Triple Seven Incident CAK A/C blew out 11 tires when landing around noon on runway 23 due to brake failure. Lots of debris, several delays for over half an hour as they cleaned the runway. They were able to taxi onto the taxi way. Five passengers left the plane uninjured. 2011-11-08 P4-FSH Star Triple Seven Status CAK Final determination on tire blow outs was a component malfunction. 2013-02-13 P4-FSH Star Triple Seven Seen CPT Parked. 2013-08-07 P4-FSH Star Triple Seven Seen CAK Parked. 2014-02-09 P4-FSH Star Triple Seven Seen CAK Will depart at about noon. 2014-08-26 P4-FSH Star Triple Seven Seen CAK Parked on taxiway. 2014-10-28 P4-FSH Star Triple Seven Seen MQY Seen on approach to Smyrna, Tn for winter storage. 2015-01-28 P4-FSH Star Triple Seven Ferried CAK Departed Smyrna (KMQY) a few minutes after 10am, headed to Canton (KCAK). 2015-05-06 P4-FSH Star Triple Seven Seen OSC Seen at the Kalitta Maintenance facility in Oscoda Michigan undergoing scheduled maintenance. 2015-07-30 P4-FSH Star Triple Seven Seen CAK I saw it being towed from its parking spot to the de-ice pad while I was taxiing out for departure. 2015-08-02 P4-FSH Star Triple Seven Seen CAK At 13:15, P4-FSH seen flying in north-easterly direction from Akron Canton Airport. Banked through the clouds more to the east. Rev. Angley has scheduled a crusade in Rwanda, Africa beginning 7 August. The plane''s departure is possibly related to this event. 2015-08-07 P4-FSH Star Triple Seven Seen KGL Parked at the airport. Lots of people at the Serena Kigali Hotel wearing yellow dayglow t-shirts of Ernest Angley. 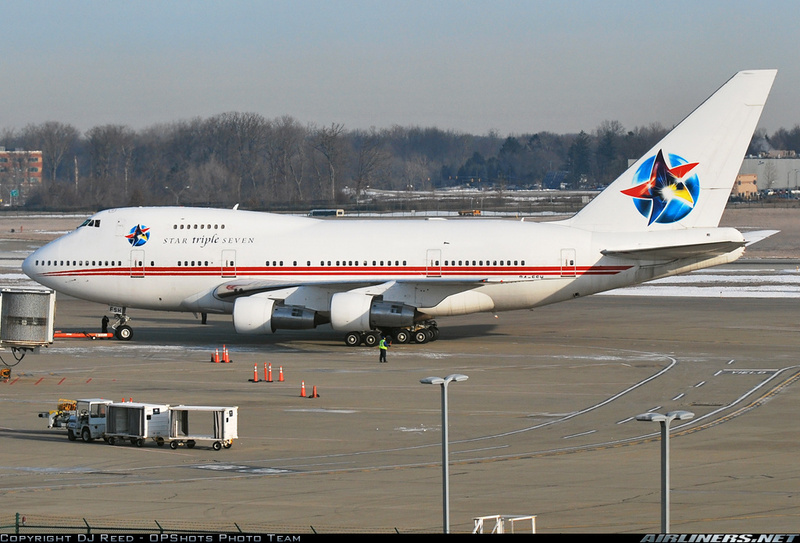 2016-01-07 P4-FSH Star Triple Seven Seen MQY Parked on ramp. 2016-02-13 P4-FSH Star Triple Seven Seen CAK Loading up for trip to south Africa. Should be leaving this week. 2016-02-20 P4-FSH Star Triple Seven Seen CAK Spotted on the ramp missing the entire #3 engine, nacelle and all. Just the #3 pylon no engine. 2016-03-06 P4-FSH Star Triple Seven Seen CAK P4-FSH have been moved over by the MAPS Air Museum. A scissor lift near the #2 engine and the #3 engine was not on the aircraft. The pylon was still there, but the engine was nowhere to be seen. Also, there was an air stair sitting next to the #1 engine, basically up next to the wing. 2016-06-28 P4-FSH Star Triple Seven Seen CAK Aircraft departed north out of CAK and turned south towards Tennessee. #4 engine had just been repaired after it had been taken off back a few months ago. 2016-07-03 P4-FSH Star Triple Seven Other CAK Not present at it''s base Canton/Akron Ohio at 6pm local. 2016-07-04 P4-FSH Star Triple Seven Other CAK The aircraft has not been at it''s usual parking space for over a week. 2016-07-16 P4 FSH Star Triple Seven Seen OSC Arrived at KOSC I believe for C check. 2016-08-22 P4-FSH Star Triple Seven Seen OSC Parked outside Kalitta maintenance hangars. 2017-02-13 P4-FSH Star Triple Seven Seen CAK Seen inbound rwy 23 after a long maintenance break in OSC. 2017-12-01 P4-FSH Star Triple Seven Seen MQY P4-FSH came in Nov 30th from Canton, OH. She''s still sitting on the tarmac. 2018-02-27 P4-FSH Star Triple Seven Flight CAK Heading north to CAK after winter storage. 2018-02-27 P4-FSH Star Triple Seven Seen MQY Departed Smyrna, TN just after 9am headed for Canton, OH. 2018-03-27 P4-FSH Star Triple Seven Flight CLE Landed at CLE at 6:32 am local time after Soweto tour.